Find a Florist by City is another great option provided by Floral Yellow Pages. When looking for florist there so many different options that can help you in your search. You can search by zip code, city, and state. 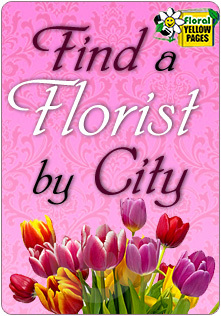 Find a Florist by City helps with the search because you're finding all the florists in that particular city. This is very helpful as well for the florist because now they can be found faster without any problems. The florist knows that Find a Florist by City is just another option that a customer can use to find them. 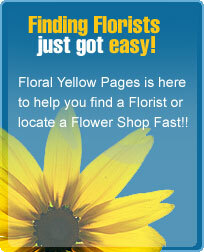 Floral Yellow Pages makes searching for florists the easier that it can be . Most people think by them not living in a major city they won't be able to locate a florist near them. That's why you choose the find a florist by city option. This will show you all the florists in your city and if you want you can always check surrounding cities as well. Come try our search options you won't be disappointed.